ospitals! We saw all of your social media posts from your Miss America Street Teams to Miracle Treat Day. We had a blast in Orlando with the CMN Hospitals Champions! 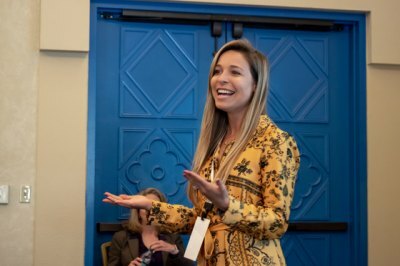 While in Orlando, we were thrilled to have our former Miss America Kira Kazantsev in attendance as the Children's Miracle Network representative. 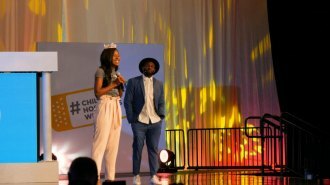 Kira shed light on the many ways the Miss America Organization and CMN Hospitals partnership benefits the 10 million children across America who receive treatment every year. In addition to the amazing week-long #ChildrensHospitalsWeek activities and promotions, Miss America State Leaders were also hard at work in Orlando. For the first time, forty-one (41) Miss America State Leaders representing twenty-two (22) states, in addition to the MAO Board of Directors and Staff were in attendance. The Miss America State Leadership Meeting was well-attended in person and via phone conference. We held an informative discussion about our CMN Hospitals partnership and the impact our volunteer's efforts make, as well as the positive direction and future of Miss America. State Leaders and Members of the Board had a chance to also hear from Nia about her year, the experiences she has had with CMN Hospitals and the ways in which she has been able to make an impact across the country with her Social Impact Initiative, Advocating for the Arts.